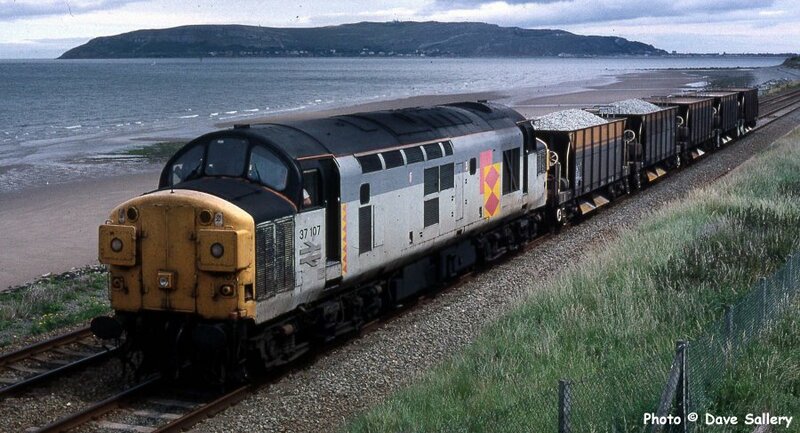 Class 37's on ballast trains: page 4. 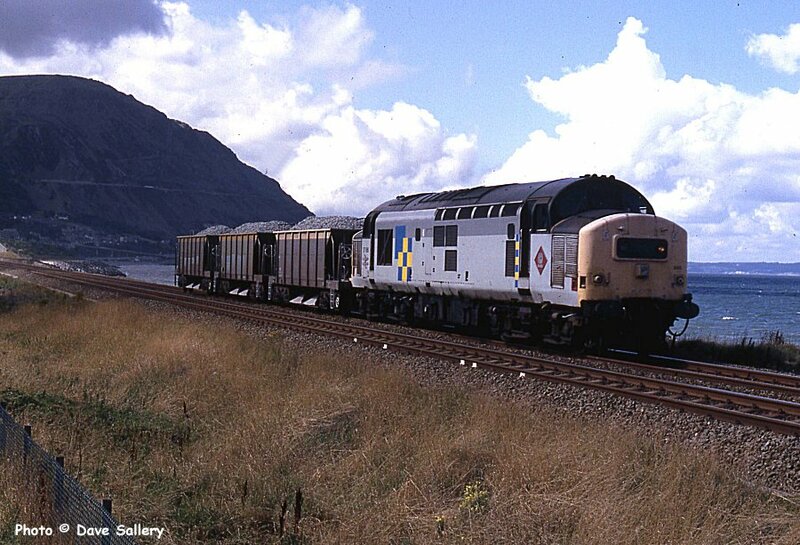 37107 nears Penmaenmawr, 27 June 1994. 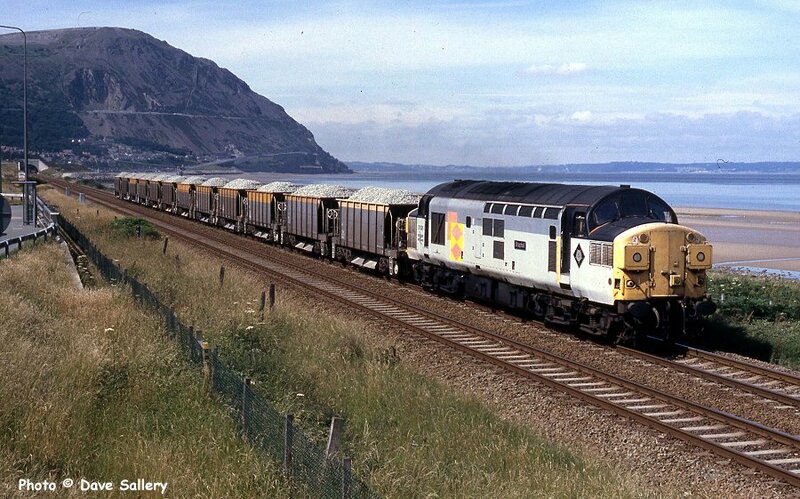 37026 has just left the quarry sidings, 14 July 1994. 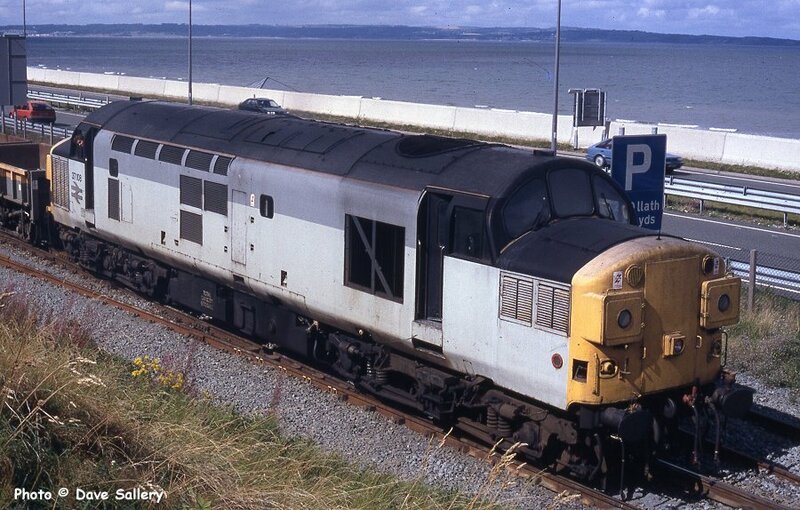 37686 with a short train, 26 August 1994. 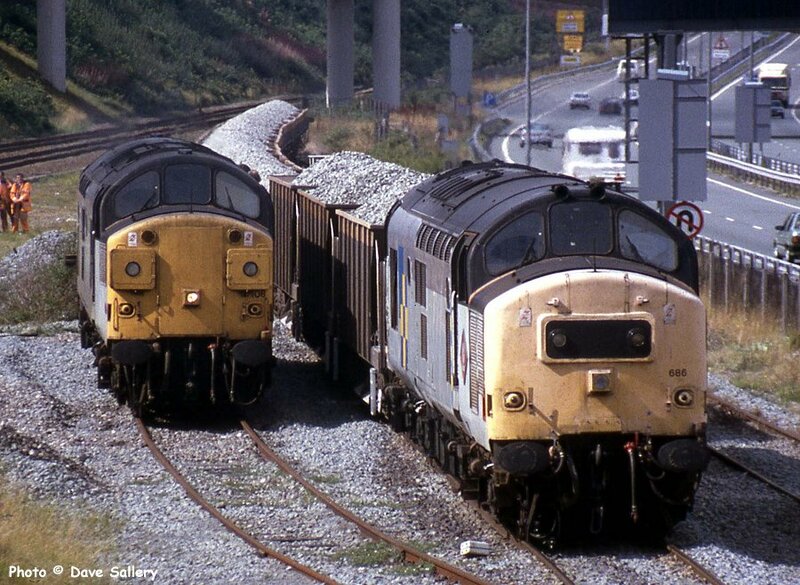 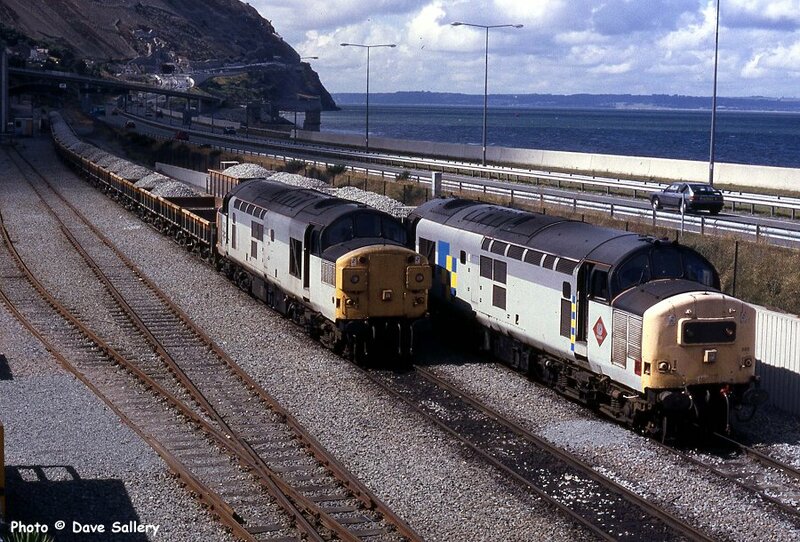 37108 and 37686 in Penmaenmawr yard, 26 August 1994. 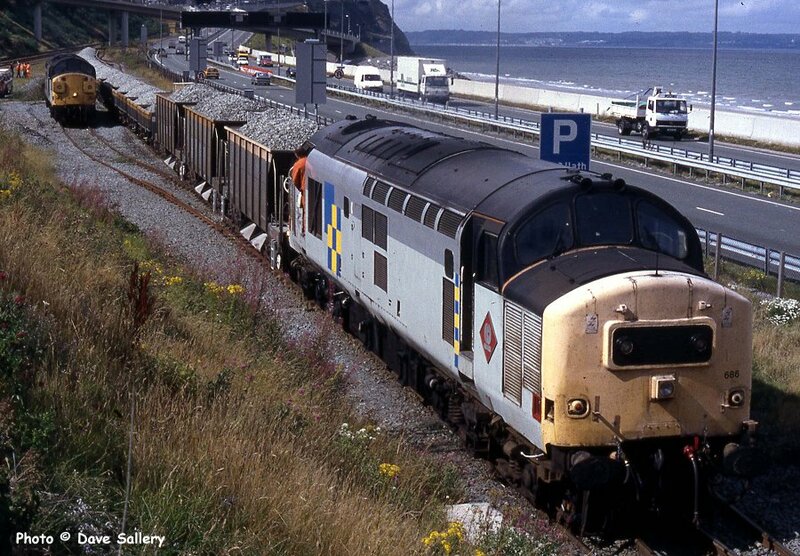 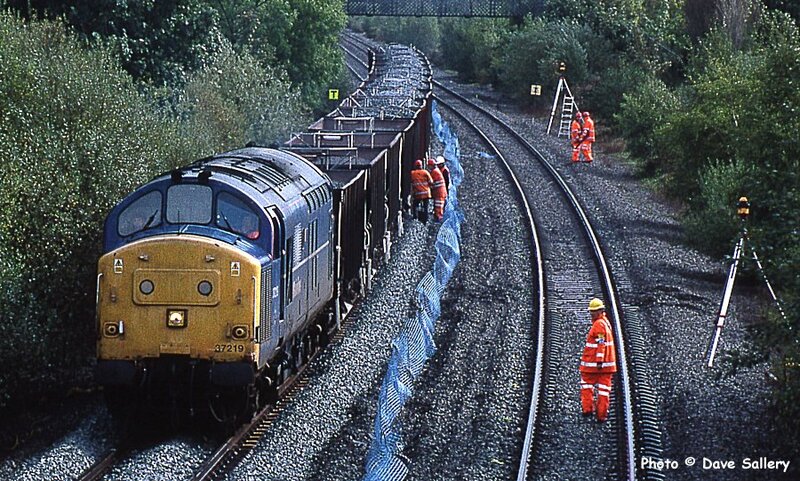 Finally, the whole point of the exercise: 37219 on a train dropping ballast on the up line near Mostyn, 27 September 1999.